Call or Click to Save on London Car Insurance! Why Choose ThinkInsure As Your London Car Insurance Broker? ThinkInsure is proud to have provided the best car insurance coverage at the cheapest rates in London for over 45 years. And we plan to keep doing so. Learn why so many London drivers choose ThinkInsure as their car insurance broker. Save Money : ThinkInsure is an independent insurance broker so we can get you quotes from over 40 leading insurance companies. With so many companies to choose from you can get real savings on your car insurance. Our average customer saves over $400 each year. Quotes From 40+ Companies : Easily compare quotes from our insurance partners and choose the best option for your car insurance needs. Customer Satisfaction : Delivering a high-level of customer service and satisfaction is a top priority for us. Our team of friendly licensed insurance brokers is here to help our customers with all their insurance requirements. Getting Your Insurance Is Easy With Us : At ThinkInsure, we strive to make the process of buying car insurance fast and easy. Whether you get an online quick quote or you call 1-855-550-5515, the best car insurance at the lowest price in London is only moments away. Bundle Car + Home Insurance and save 20% more! Compare London Car Insurance Quotes and start saving on your now. If you are shopping for local auto insurance in London, you are at the right place. ThinkInsure offers over 40 car insurance carriers. We want to help customers to shop and pick the best company that is competing for their business. Getting a quote is easy. Compare car insurance rates from multiple companies so you know you are getting the best deal for you with the right coverage. The only way to save on car insurance is to shop for car insurance. The best rate last year is not the best rate this year! We make the comparison process of buying car insurance as quick and simple as possible. Whether an instant online quote 24/7 or by phone, choosing the best London car insurance coverage at the best price has never been so easy. Simply enter your basic information into our online quick quote tool and once completed you can compare multiple car insurance quotes and rates. You then can choose among the cheapest rates available. For us to be successful, you need to have your auto insurance needs met successfully. 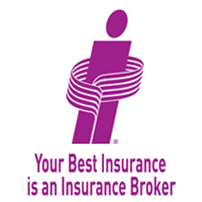 As an independent insurance broker, we will get multiple quotes from multiple insurance companies, then you choose. We make sure you receive the most extensive coverage possible for the best price in London. There’s no need to wait another minute. Let ThinkInsure get you multiple London car insurance quotes for you to compare, then you choose the best one. And see how much you will save! London, the largest city in south western Ontario, has a population of 366,151 (2011 census), making it the 10th largest city in Canada. London is located at the junction of Highway 401, connecting to Toronto to the east and Windsor to the west, and Highway 402 to Sarnia. Nearby Highway 403, which meets the 401 at Woodstock, connects to Brantford, Hamilton, other parts of the Golden Horseshoe area, as well as the Niagara Peninsula. Many smaller two-lane highways pass through or near London, including Highways 2, 3, 4, 7, and 22, providing access to London from communities such as Goderich, Port Stanley and Owen Sound. The most predominant ethnic origin of Londoners (2001 census) is English (31.9%), Canadian (31.8%), Scottish (21.6%), Irish (19.1%), German (10.6%), French (9.2%), Dutch (5.8%), Italian (4.6%), Polish (4.4%), Portuguese (2.5%), and Ukrainian (2.4%). London leads the nation in reducing impaired driving charges. According to Statistics Canada, the number of charges laid in London was cut 52 per cent in the decade between 2001 and 2011. In an effort to further curb impaired driving, London police increased RIDE programs by 10% between 2011 and 2012. Average jail sentences for impaired driving convictions in Ontario increased from 67 days in 2001 to 90 days in 2011, according to the London Police Department. How Do These Facts Impact London Car Insurance Rates? Whether or not these London stats and facts are news to you, they help reveal that London is a vibrant city with a lot of traffic on the roads. This translates to a considerable amount of driving that occurs in London, which can lead to car accidents - especially multi-vehicle auto accidents. Plus there’s traffic tickets. Car theft. Car insurance fraud. They all relate to the number of vehicles in London. These factors then contribute to different car insurance companies arriving at different car and auto insurance quotes based on specific algorithms they employ to determine rates. And so some rates end up higher and some lower than others. To make sure you get the best car insurance rates in London, choose ThinkInsure as your insurance broker. We will shop and compare to get you London’s best car insurance coverage and rates. We’ll make the entire process easy. So get an online quick quote or call 1-855-550-5515 and speak to licensed broker and start saving on your London car insurance now. "My family and I have been client's of Thinkinsure for over two years, and have had nothing but flawless, smooth times with them. Whether it was exploring different options, changing an item on a policy, etc. everything was so easy to do. The fact that virtually every aspect of having auto insurance can be handled online is a great advantage, in this technology based world we are in. Thanks Thinkinsure!" "Now I am certain, Thinkinsure is my top choice for insurance. Car, boat, cottage and my home. Having had a recent claim, I found my broker and her claims representative very helpful and the preferred shop quick and painless. Thanks!" "Quite easy to apply, lots of choice, easy to buy and easy to renew. A user friendly experience." "If you are just getting car insurance for the first time or want to switch to a different auto insurance company or looking for a low car insurance rate, choose Thinkinsure. By shopping for lower car insurance rates, you could save hundreds on your auto insurance." "We love the customer service that Thinkinsure provides. Ian was extremely helpful, informative and easy to work with! I've never had a problem since I've been with this company! I give them a 10 out of 10!"